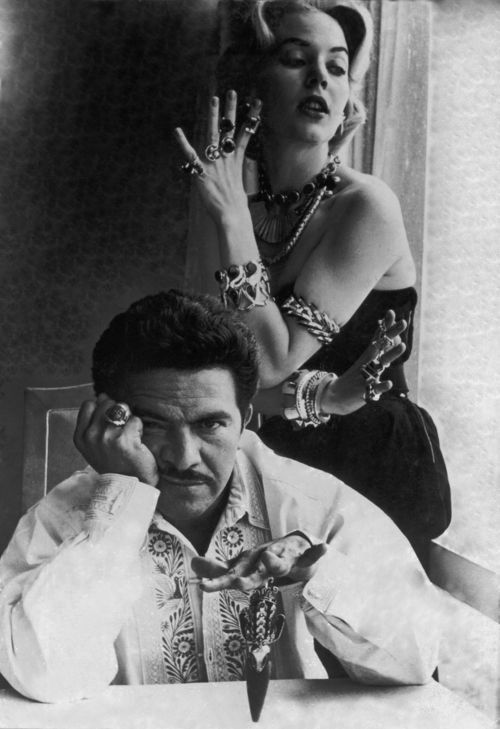 I guess in the 1950s you wanted your jewelry designer to have that bad boy charm. Pic from here. Unless the weather takes a turn for the worse, I'm currently up in Santa Fe where the Museum of International Folk Art has an exhibit of the work of Mexican modernist jewelry designer Antonio Pineda. 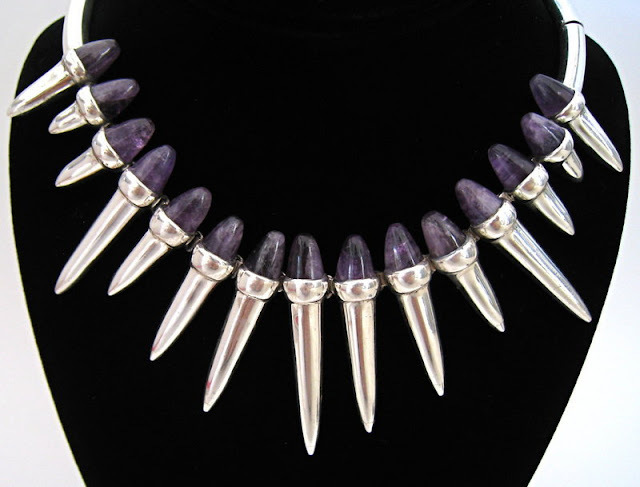 I've seen crystal and bullet necklaces all over the web lately, but I'll bet this was the original that inspired them all. (Although maybe this is more like amethyst jaguar teeth). This necklace is in a private collection. Image from here.